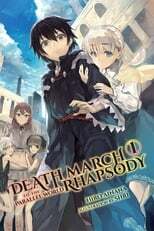 Where can you stream Death March to the Parallel World Rhapsody? On 2018-01-11 Animation/Sci-Fi & Fantasy TV Series Death March to the Parallel World Rhapsody first aired on AT-X. Written and created by Shin Ōnuma, Death March to the Parallel World Rhapsody will return and was last broadcasted on 2018-03-29.